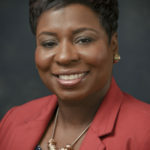 A native of Washington, DC and raised in San Diego, CA, Rosslyn Renee Knight holds a Bachelor of Science degree in Early Childhood Education from Vanderbilt University, and earned a Master’s Degree in Education with an emphasis on Language and Literacy, from the Harvard University Graduate School of Education. She also holds an Arizona Principal Certificate from Northern Arizona University. Ms. Knight has over 20 years of management, leadership and teaching experience working with at-risk populations, adolescent and adult literacy, college preparatory programs, and developmental education programs, and joined the Maricopa County Community College District in 2003. During this time she has served in as adjunct faculty member and most recently as the Faculty Chair for Reading and English as a Second Language (ESL) at Rio Salado College. Ms. Knight currently serves as the Vice President of Vitality for the Maricopa Council on Black American Affairs (MCBAA). In this coming year as the president-elect, where focus continues to be strengthening the ties of all African/African-American employees within the District and connecting them to the greater Black community in the Phoenix area. These opportunities to collaborate provided the platform for more employees and campus administrations to be aware of the positive impact MCBAA has on both the internal and external college community.